(Fall Webworm Moth Caterpillar) - imm. Size: approx. 15-20 mm. Photo: 06/16/12, 7 pm. 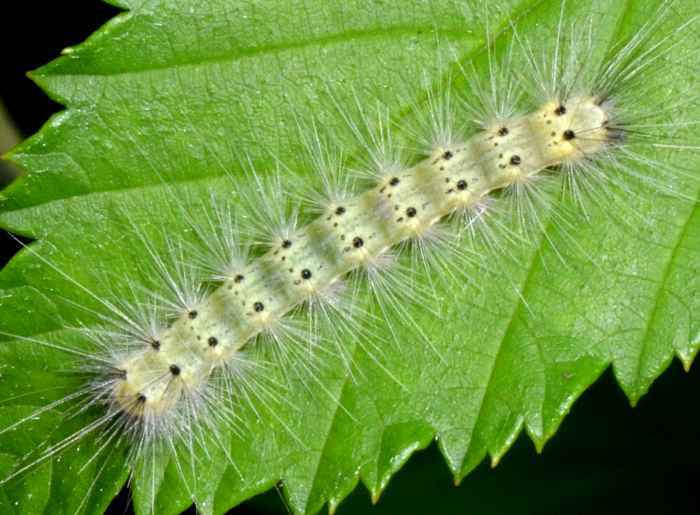 This common and widespread caterpillar can be found from May to October in the Southern US. They feed on foliage and can enclose the entire tree with their web-like tents but typically cause no or little damage. The adults of Hyphantria cunea (Fall Webworm Moth) are white with no or some grayish-brown to black spots. Hyphantria cunea - Hodges#8140 (Fall Webworm Moth). A beautiful tiger moth which was great to see because I had often encountered its striking caterpillars (see above). 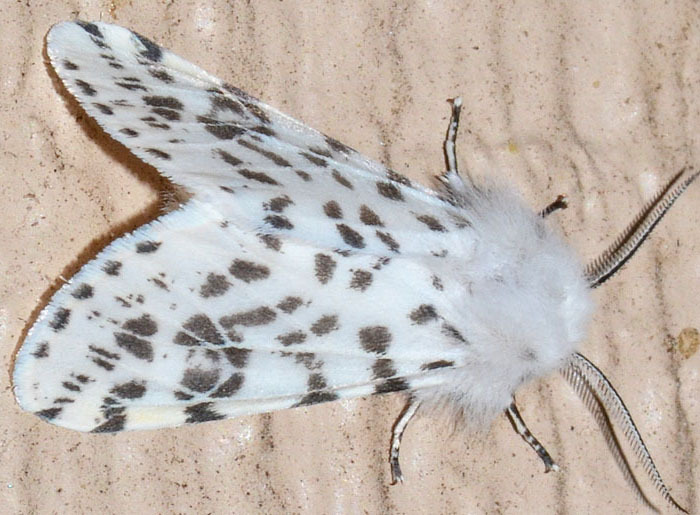 The wings of this species are either all white (in northern and some southern individuals) or sparsely to heavily marked with dark grayish-brown to black spots (in many southern individuals). The spots are rectangular or wedge-shaped, arranged loosely in rows in basal half of wing, and in either a V-shape or more-or-less random arrangement in the distal half.